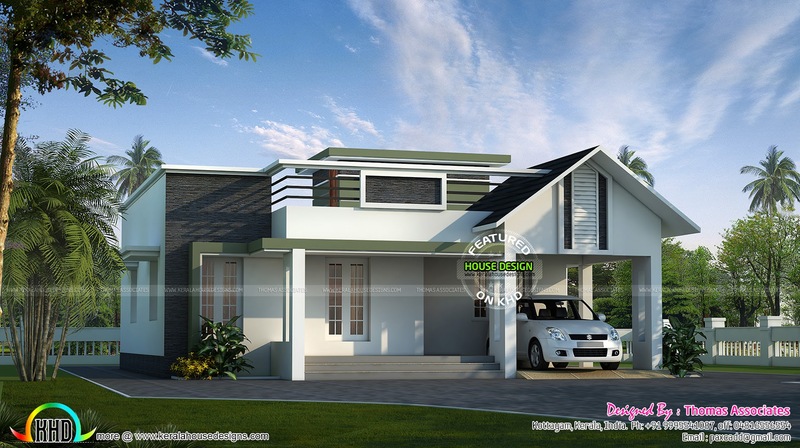 1200 Square Feet (111 Square Meter) (133 Square Yards) elegant single floor house with 2 bedrooms. Designed by Thomas Associates, Kottayam, Kerala. 0 comments on "Small simple 1200 sq-ft house"